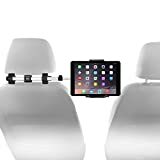 Whether it’s to provide hands-free navigation in the front seat or to keep the kids entertained on long road trips, car mount tablet holders are a hot item this year. Manufacturers have introduced several creative designs intended to be the best system for holding mobile tablet devices in a secure, safe and convenient way. We have scoured the market, and offer our list of the top eight of the crowded field of tablet car mount holders. First, we'll answer some of the top questions you have asked, then we will present our list to you. What is a car mount tablet holder? Any device that holds a mobile tablet device in a car is known as a car mount tablet holder. They can be for the front seat or rear seat, and there are many different designs on the market. Some attach to the front windshield or dashboard while others install in the backseat on the headrests. A few models use adhesive for the front seat, but more are using a suction cup design. The rear seat models usually have brackets that attach to the head restraint posts. The part of the unit that holds the tablet is known as the cradle. The task of securing the tablet is usually done with a clamp-like device or with powerful magnets. What does a car mount tablet holder do? 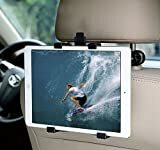 For backseat use, car mount tablet holders secure the tablet in a comfortable viewing position for passengers to enjoy. In the front seat, the devices provide hands-free access to tablet devices. One of the benefits of using a car mount tablet holder is that it provides a way to position the tablet at any angle. 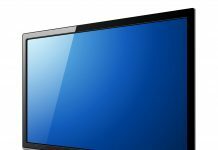 This allows the user to view the screen more comfortably from any position. How does a car mount tablet holder work? Manufacturers have designed several different methods for holding tablets. New ideas seem to be developing all the time, and no one method seems to dominate the market as of yet. 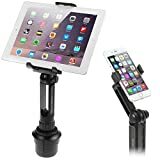 Are car mount tablet holders legal? Check your local laws concerning using mobile devices while driving. We are not implying that it is legal to use a hands-free device where you live, so be sure to know the law in your area before you buy. 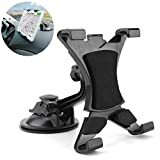 Where can I buy a car mount tablet holder? 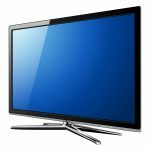 The holders reviewed in this article are all available on Amazon. 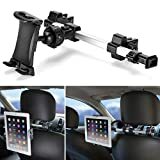 We assumed that you are new to the idea of adding a car mount tablet holder to your vehicle, so we wanted you to have a good cross-section of popular styles from which to select. We based our list on customer satisfaction, entry-level price points that we felt represented a good value and the most popular designs. Choosing a tablet holder for your car will ultimately come down to your particular preferences and specific needs. Since there are hundreds of different designs from which to choose, we naturally had to omit quite a few from our list. We believe we reviewed a good selection of the best on the market. 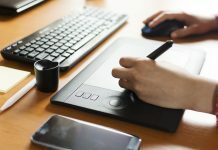 Some tablet holders are much more expensive, but we wanted to stay within the average budget for the purposes of this guide. Starting off our list is this cup holder mount type tablet holder from iKross. Cup holder tablet mounts are ideal if you do not mind giving up one of your drink spots. If having a beverage slot full is not an issue, the iKross mount's design keeps it extremely steady when you need to tap or slide on the screen. This model is compatible with just about every smartphone and tablet made and uses a clamp to hold the device securely. The cup mount works by means of an expanding disc that opens to hold the unit securely in the cup holder. The 360-degree swivel ball joint allows you to adjust the screen to any angle. You will probably like this one if your cup holders are located in a convenient spot and you don't use them for drinks very often. Otherwise, having your tablet in that area may get a little inconvenient. Headrest mount tablet holders are perfect for backseat users who need a stationary platform for watching movies or gaming. The Macally headrest design allows for the unit to be attached directly behind either headrest, or it can be placed between the two headrests if two passengers are using it. The holder has a ball head to make it easy to adjust to any angle. The mobile device holder will securely hold any phone or tablet between 4.5 inches and 10 inches wide offering a large range of device compatibility. This unit is very easy to install and does not require any tools. This type of tablet car mount is the ideal solution for backseat passengers. Parents will appreciate the stability and flexibility of the holder, as it is likely to keep the complaining to a minimum. Great for long car trips but doesn't do much for the driver. This holder also mounts to the backseat headrest. The MFEEL uses sturdy plastic clips to hold your mobile device securely. The holding method gives it a slight edge over our number seven pick, but overall, the two are fairly comparable. The MFEEL holder allows for a full 360-degree rotation, so playing games and watching videos can be done from any position in the back seat. Long road trips can benefit from the unit's sturdy design and stable operation. Backseat passengers will appreciate the ease of operation and reliability. Parents will likely enjoy the low price. If you are an iPad user who desires hands-free viewing of your mobile device, this tablet mount holder could be the answer you seek. This unit mounts with a suction cup on your car's front dashboard. You will want to make sure that the dashboard is clean before affixing the suction cup with a lever that holds it in place. The manufacturer recommends that the holder is not used on leather surfaces. The holder will adjust to any position for easy viewing of GPS or other pertinent information without having to hold the mobile device. We gave this OHLPRO holder high marks because of its secure holding design. The screw-in mounts are a breeze to install and hold the tablet device stable for hours of enjoyable backseat viewing. 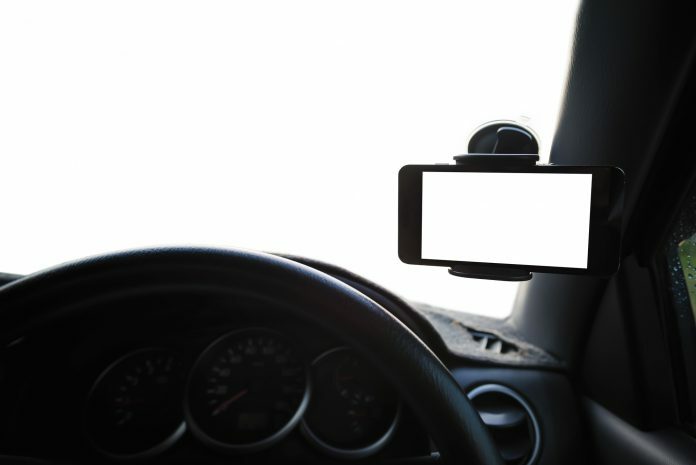 The mounts can swivel for viewing in any backseat location. The design keeps the tablet firmly against the headrest for maximum stability during travel. The OHLPRO holder is compatible with any 7 to 13-inch tablets making it practically universal. The design holds your tablet securely against the head restraint for device protection. The front windshield mounting design of the Digitl universal tablet mount is one of our highest-rated front seat designs. We like the way the holder securely holds any 9-12 inch tablet at any angle. A powerful suction cup attaches the arm to the front windshield of your vehicle and requires no tools to install. The cradle holds the tablet firmly, and the screen can be easily positioned to any desired viewing angle. The unit features a sturdy, yet flexible, telescoping arm that conveniently and safely positions your device for hands-free operation. The holder is equipped with an anti-vibration feature that keeps your tablet screen as stable as possible. The Wiki-tech entry gains the second slot in our list by virtue of its creative mounting design. The mount securely screws into your car's CD holder for a stationary solution to mounting your tablet. The setup doesn't interfere with CD player operation, and the cradle itself features powerful magnets to hold your tablet firmly in place. The design holds 7- to 9-inch tablets firmly in place for easy hands-free operation without obstructing the front view of the driver as some windshield models tend to do. It also offers upgrades like additional rubber pads for a tighter fit available for a slight upcharge. The top spot goes to the iKross tablet headset mount. Its easy-to-install design offers an easy and inexpensive way to add a backseat entertainment center to almost any vehicle. The viewing position is fully adjustable to any position through the use of a ball joint feature. The position is secured easily once you have it set. This tablet holder offers many features that make it top our list. There it is – our picks for the top eight best car mount tablet holders. We hope you gleaned some useful information from this guide as you begin your search for a solution. 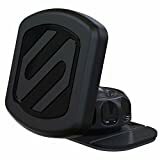 Keep in mind that ultimately your own unique situation will determine what tablet car mount holder is best for you. Do you need rock-solid stability in the front seat? Do you need a reliable and flexible way to allow your backseat passengers to enjoy using a tablet? Are you concerned with the long-term use of your tablet holder, or do you just need one for a special event or particular trip? Asking yourself these and other questions should help guide you to the right product. Since the idea of car mount tablet holders is still so relatively new, manufacturers are still developing new ways to perform the task. Each new generation of products seems to get a little better at doing the job of providing a safe, easy way to enjoy mobile tablet devices while traveling in a car. As the various products are tested and reviewed by early adopters, we all get a better idea of how well each type of holder works. We also get a taste for the ones that do not seem to work very well. Finding the best one for your needs will likely be a process, and we hope that this guide made the process a little easier.